I've been very quiet; not quiet enough to abstain from a few beers but just too busy to post. 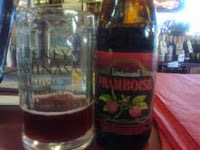 The festival is pending; lists are long; fear is high; nerves are simmering but today; the weather intervened... A lull in footfall; a break from email and the realisation that the summer is happening - cue: Lindemans Framboise Lambic. 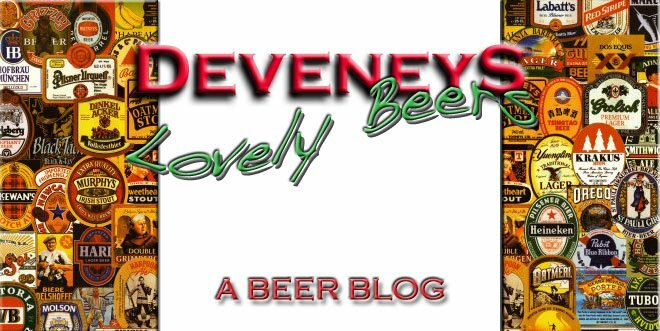 For all those that have not read previous posts; I'm a Fruit beer lover and not afraid to admit it (very uncool; apparently). I believe that Fruit beer; to the beer lover is what ''MMMbop'' is to the discerning music collector... Outward loathing (over-acted); inward incessant humming. I; on the hand; fly the flag proudly for this delicious beer beverage. I opened the crown cap and went to get a glass from the other side of the shop. By the time I got half way back to where the open bottle sat; the smell of fresh raspberry had dispersed; it's pretty impressive for a 250ml bottle of liquid; against an open door on a busy main street and a large commercial dairy fridge to contend with. As you can see from the picture; it's a deep raspberry colour with a light frothy head. It looks like a melted Mr.Freeze. The nose is fresh raspberry with a greenness; you can almost smell the acidity. The palate is big fresh raspberry flavours; with a crushed raspberry tartness and the oily acidity from the raspberry pips is evident on the finish. I also have it in cherry and peach. BTW are you guys stocking Trouble Brewing bottles? En-route this week; Stephen to deliver today or tomorrow.